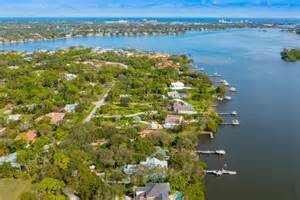 Along the Loxahatchee River, on the northern side of Jupiter, lies a luxurious community comprised of 81 beautiful custom homes built on generous lots. The Estates of Pennock Point range in size from 1,400 to over 8,200 square feet. This carefully designed community is a perfect example of tropical luxury, featuring tiki huts lush palm trees, and South Florida’s endless sunny days. Residents enjoy spectacular riverfront views and ocean access. The community is conveniently located a short drive to I-95, amazing state parks, dining, shopping and top-notch schools.